Vegan Eats and Treats! : Green Monster!!! 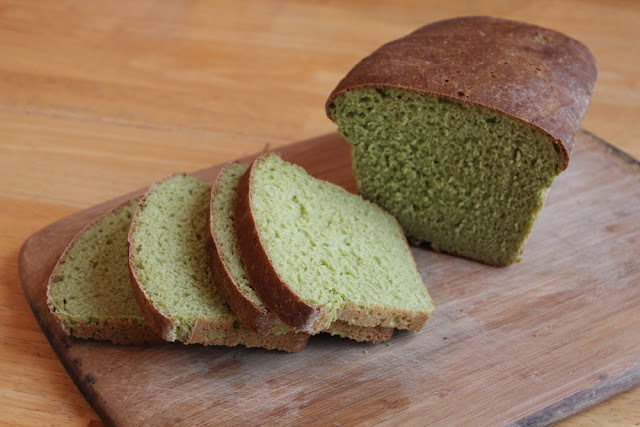 Ever since I first got my paws on my copy of Vegan Sandwiches Save The Day, I've been wanting to make their recipe for Green Monster Bread. With a name like that, how could I resist?? Well, I finally did it! 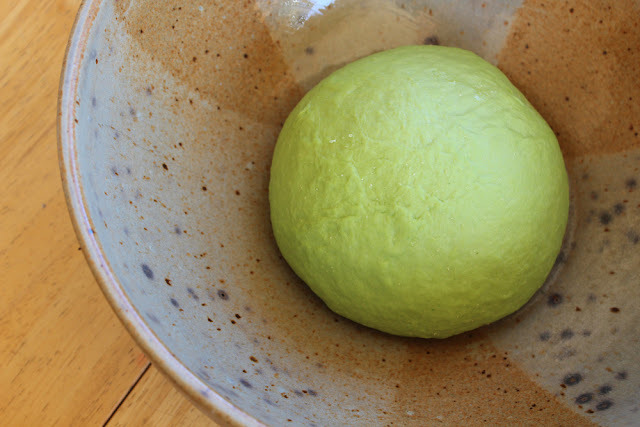 Look at the amazing gorgeous color of this bread dough. Here it is, sliced open in all its glory. This is definitely the most successful loaf of sandwich bread I've ever made. As you can see, I got a totally perfect rise. The dough was smooth and pliable and springy and the final result is an easily sliceable loaf of bread that holds together but isn't dense. It's absolutely perfect. Plus, it's got loads of garlic (my true love) and it's glorious green color comes from a big handful of spinach - which means that the bread really has some flavor (in addition to the color). When I saw it come out of the oven all toasty brown, I was afraid that it has lost its green shine, but I needn't have worried! 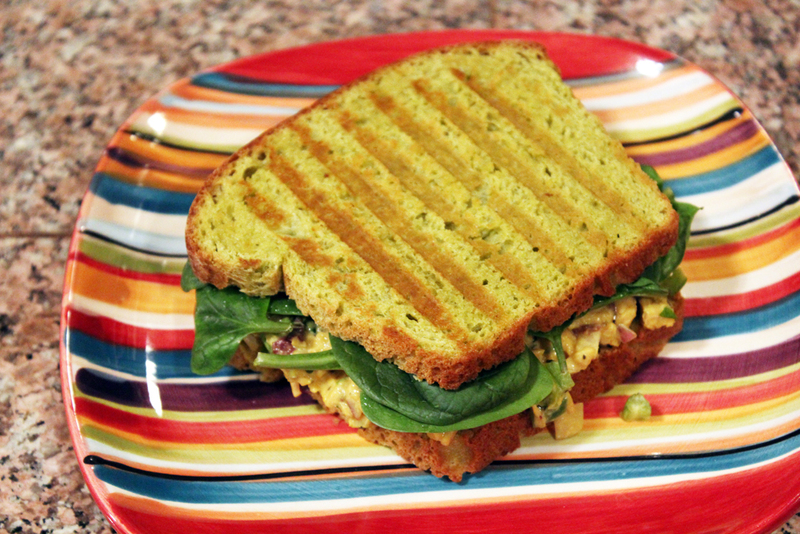 I made the Mediterranean Tempeh Sandwiches (also from Vegan Sandwiches Save the Day). The fililng is sort of like a potato salad with mayo and pickles and olives and red onion - and tempeh instead of potatoes. It doesn't have a super strong flavor, but it grew on me for sure, and was even better the next day. There are a lot of recipes in the book that call for this bread... but I'm having a hard time not just eating the rest of it as toast. It makes amazing toast! Watch out for the Green Monster! He will eat you up! green bread filled with spinach and garlic?! YES PLEASE. what a glorious bread! That's so awesome! I can't wait to make this now, it's SO green!!! Love that it has all that spinach inside! Looks like something you'd have at a St Patty's party! I know I'm like a broken record, but I just LOVE YOUR POSTS! They always make me smile. I'm glad the Green Monster has his priorities straight - first sandwiches, then human gobbling. I usually shy away from making my own bread, but your hearty approval has me intrigued. Plus, it's great that there's a handful of spinach and loads of garlic in it. It sounds like my kind of bread for sure! :) Cadry, do it! This is definitely an easy bread recipe and not something to be intimidated by. It required so little effort... mostly just some waiting time while I waited for it to rise, etc. This bread looks awesome! I love spinach so I know that this would be so tasty! Jen! You won't regret it. It really is one of my favorites. I find that the fillings are often good on their own as salads or whatever, and the ideas are really innovative, and the sandwiches are always good. I love this book so much! wow this bread looks amazing! so does that sandwich! mmm!! Yes! I’ve had this bread on my to-make list since I got the book, I really want to make the Incredible Green Sandwich with it. It turned out such a pretty color. do it, MM!! You won't regret it! Sometimes mine stay greener than other times! I can't figure it out, but I think the shade of yours is the prettiest I've seen! That's interesting... I used all spinach, I wonder if that made a difference? It really is so beautiful. And if you put in enough garlic, it gives you some niiiice breath! 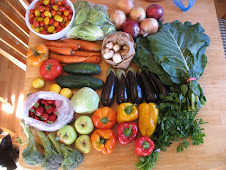 My tween boys would eat it for three meals a day if I let them. I made the green monster bagels yesterday morning (let the dough rise overnight, soooooo good), they were out of this world! 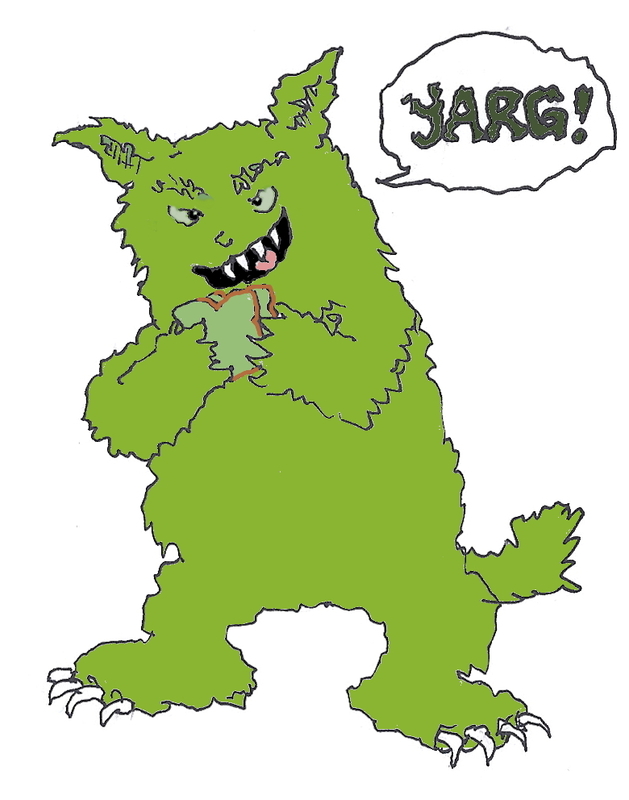 Your Green Monster drawing is a pretty accurate image of what my husband looked like when he snatched the first bagel out of the oven. oh my GOSH. Such a great idea to turn this recipe into bagels. I think I will do that next time. I am so in love with this recipe, I forsee many many batches of it in my future.